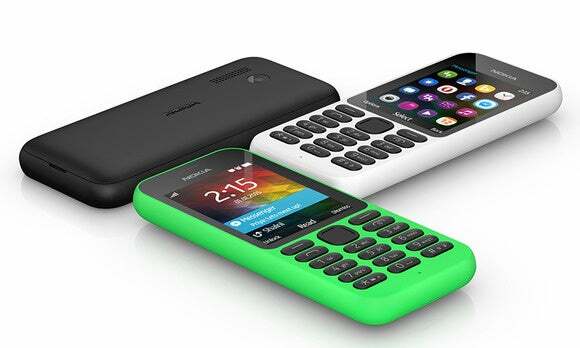 Launching a feature phone at the beginning of 2015 may seem strange, but Microsoft is convinced there is still a market for the Nokia 215 as a second phone and in parts of the world were electricity is scarce and budgets are small. 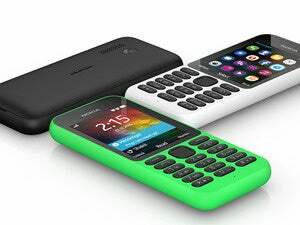 Microsoft calls Nokia 215 the company’s most affordable “Internet-ready entry-level phone” with Facebook and Twitter integration. The screen measures 2.4 inches and the camera has a 0.3-megapixel resolution. On the software side, it uses the Series 30+ operating system and has Bing Search and an Opera Mini Browser. Opera redirects traffic to the browser via its own servers to be able to decrease the amount of data sent to the phone. That’s sorely needed on a phone like the Nokia 215, which has maximum download speed of only 236.8kbps using Edge. Besides the $29 price tag, the phone’s stand-by time of up to 29 days is the biggest attraction. For people who live in parts of the world were electricity isn’t readily available, that’s an important consideration. The reasoning behind sticking with this segment of the market for now is pretty straightforward; The development costs—including components and patent licensing—are too high for smartphones to compete at the very bottom end of the market, according to Neil Mawston, executive director at Strategy Analytics. So feature phones aren’t going away, he said in a recent interview. Global mobile phone shipments increased to 459.5 million during the third quarter, including about 140 million feature phones. Unlike on smartphones, Microsoft has decided to keep the Nokia brand on its cheapest phones. The Nokia brand is more well-known in parts of the world were feature phones are still relevant. The Nokia 215 with one or two SIM slots is first rolling out in some parts of the Middle East, Africa, Asia, and Europe during this quarter.